Beginning Instruction is offered by request to those who are new to meditation or to Zen practice, or to anyone who would like a refresher. Recommendations are given for developing a stable and comfortable sitting posture, as well as instruction on meditation technique and zendo etiquette. Dharma Talks are offered on Sunday mornings. They may focus on a traditional Zen teaching or koan, offer a perspective on working with our minds and emotions, or relate the teachings to a contemporary issue. Daisan (face-to-face meetings with the teacher) are an integral part of Zen training. They are an opportunity to receive individualized guidance on meditation practice, koan study, or bringing the dharma into our everyday life. Workshops and Discussion Groups are offered on a regular basis. We frequently have book discussion on Sunday mornings, in which we read key passages from a selected text and have discussion. This is a wonderful aspect of our practice, building trust and community, and allowing us to learn from the wisdom of the sangha. We have had workshops in which we explore traditional teachings (such as the writings of the ancient Chinese Zen poets) as well as those in which we examine contemporary issues such as racism. 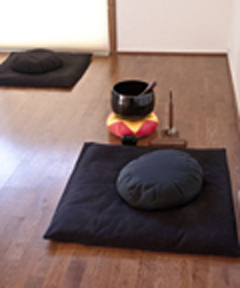 Zazenkai are intensive one-day meditation retreats and an important way to deepen Zen practice. The day includes zazen, liturgy (chanting), a dharma talk, individual meetings with the teacher, and oryoki (a silent mindful meal taken together in the zendo). 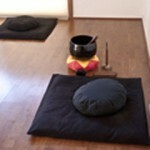 Zazen begins at 9 am and the day concludes at 4.15 pm.